We skied to the bottom of the Blue piste 06 ‘Standard Variante’ on the Corviglia side of St. Moritz in search of a restaurant that we had heard good things about. CheCha Restaurant & Club is well positioned to ski to, but it is unusual in that one can drive up to the restaurant as well. On entering the building we were struck by how beautifully designed the interior was with the core design being very Alpine, but the decoration went beyond with an eclectic mix of art and ornaments; the rich reds and deep turquoise made for a cosy but vibrant atmosphere, this had been put together by someone with a precise eye for design. We were welcomed in and shown around, before we knew it we were sipping on a Reto Prosecco di Valdobbiadene. Reto Mathis, the owner and chef, came and introduced himself to us, a charming and very funny man, quick to smile and as we were to find out very talented in the kitchen. 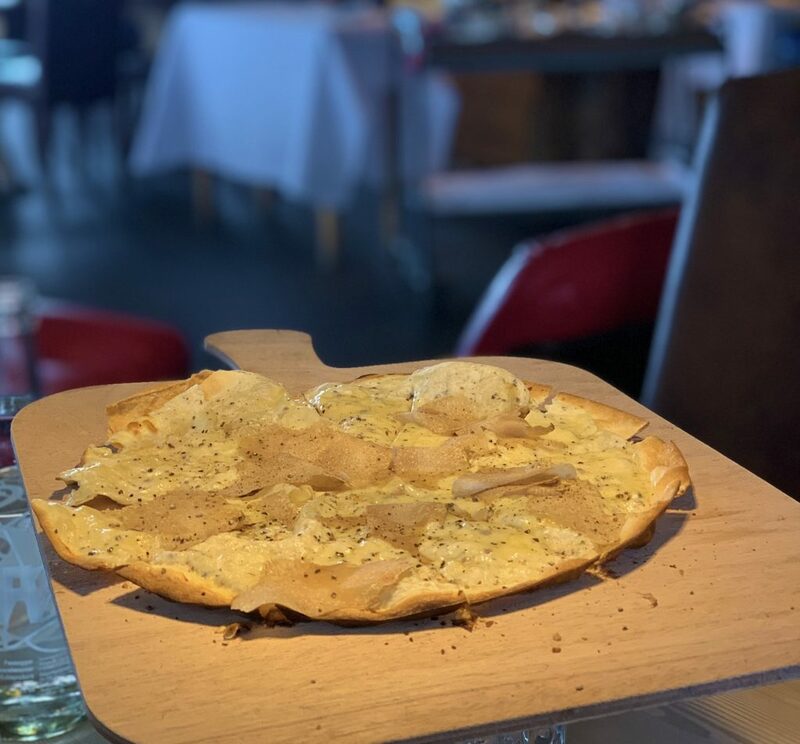 A four course meal had been prepared for us, and first up was Reto’s world famous Truffle Pizza. This was a thin crispy delight, now I am not usually a fan of truffles but this was made white truffles, a whole other story when it comes to truffles. Reto was on hand to shave a little fresh white truffles onto the pizza as it arrived. If this was all that was going to be served for the rest of the day I would have been very happy, but there was plenty more to come. Next was a Carrousel of Mathis mixed Hors d’oeuvres platter with lobster, two types of salmon, foie gras and various other additions. A true mix of decedent foods that worked so well together, especially when paired with their Tuffo Gavi del Comune di Gavi Morgassi Superiore, do not miss this one if you drop by. 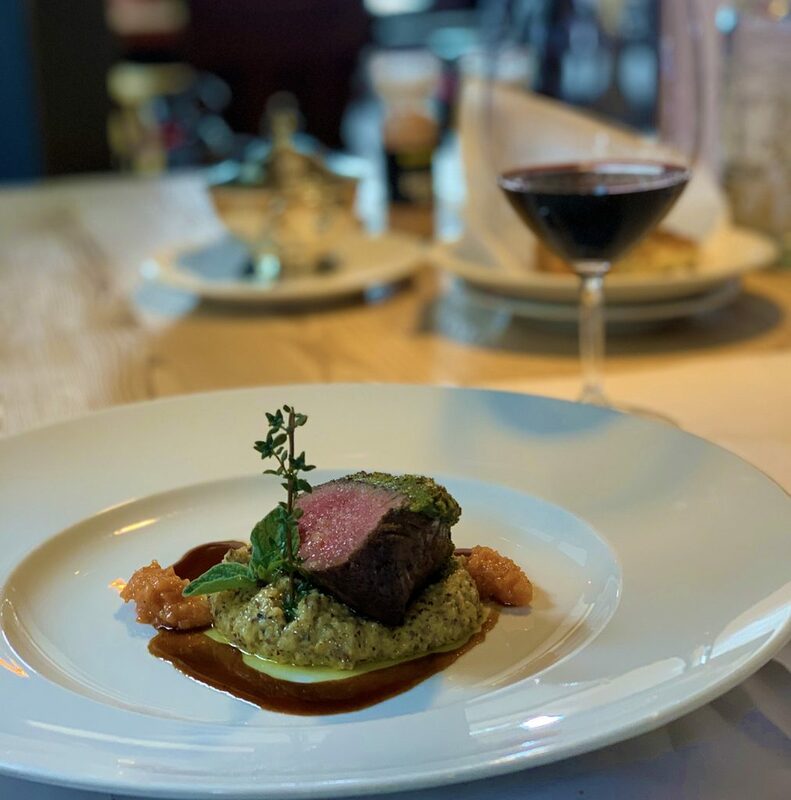 The main course arrived and I was so happy, rack of red deer with Engadine herb crust mushrooms, truffle scented polenta with melon chutney. 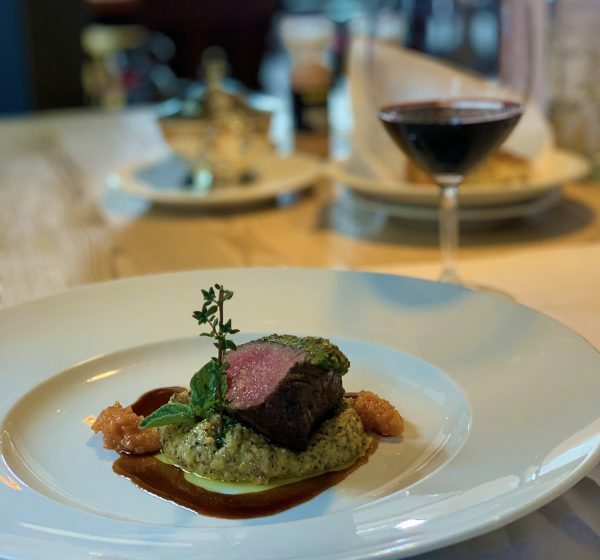 The venison was perfect, deep red just how I like it and the flavours we divine, especially with the Poggio ai Ginepri Cabernet Sauvignon Merlot, Petit Verdot, Syrah Tenuta Argentiera. 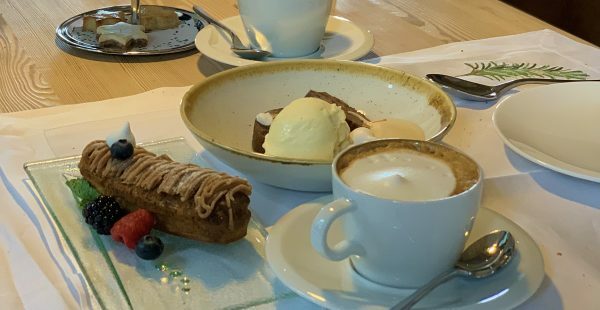 Despite the fact that we were beginning to feel rather full, it was time for peruse CheCha Le Cake Tavolata…the dessert trolley. 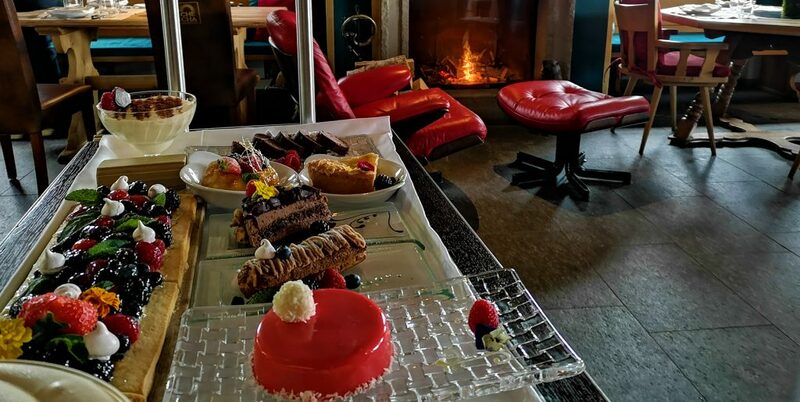 This was a veritable feast for the eyes, the lovely pastry chef took us through her splendid display of sweet treats from Tiramisu, Zabaglione and Rum Bubba to chocolate Salami and chestnut paste Mont Blanc; this was going to be a very difficult decision. 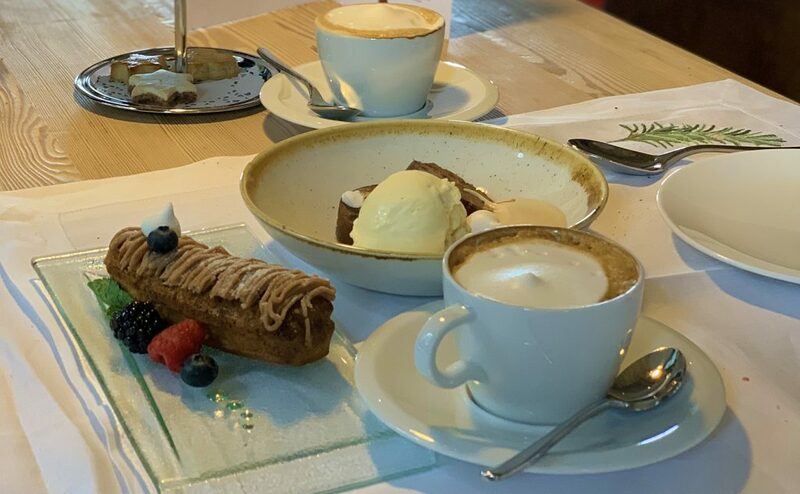 Eventually we decided on several to share with the Mont Blanc, chocolate salami and Zabaglione on the side; wow what a choice, some of the desserts I have experienced. 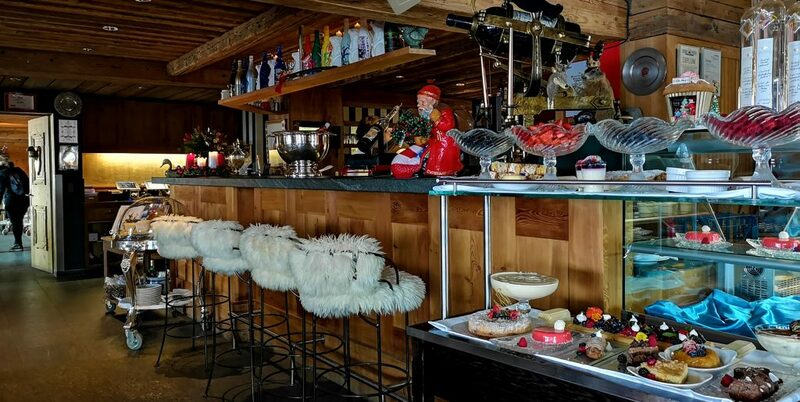 Reto has been an integral part of the St. Moritz establishment for over 30 years and his place in St. Moritz history is secured as far as this experience is concerned. He has become famous for his creations involving truffles and caviar; and it seems that he has selected a tremendous team around his as well, for the service was impeccable and super friendly too. 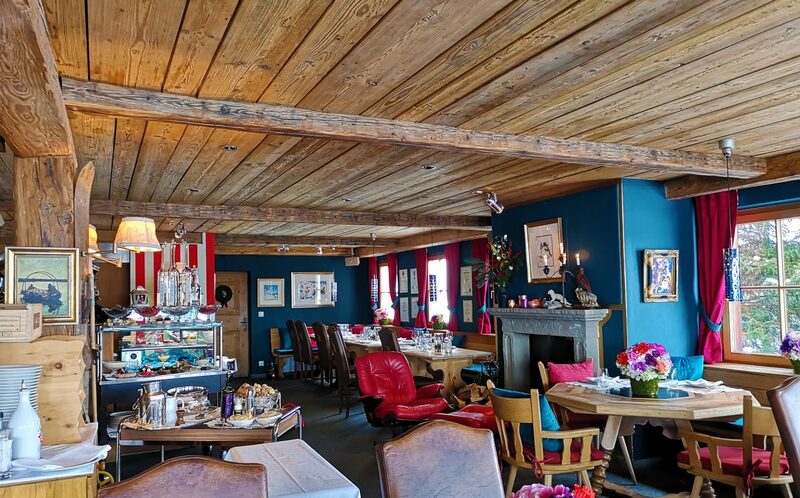 When heading to St. Moritz, be sure to head Reto’s way to eat, drink and be merry at CheCha.